Kircher’s acting career was launched on his graduation from the New Zealand Drama School at the young age of 18. After two years work as an apprentice, he worked extensively throughout New Zealand and, over the next 20 years, went on to appear in more than one hundred professional theatre productions. This was in parallel to a successful film & television career that saw William holding a reputation as one of the most respected actors in New Zealand. In the late 1990′s, William shifted his focus away from acting toward production. He was engaged as a producer by UK television company Cloud 9 Screen Entertainment to assist developing projects for New Zealand audiences. He was invited to head up Cloud 9′s commercial division in 1999. This role saw William produce an award-winning short film, as well as a range of other corporate projects. He became a member of the Cloud 9 executive team with responsibility for managing public relations, media and communications. In 2003 William went into a partnership to form ScreenAdventures. The objective was to develop, finance and produce feature films for international audiences. ScreenAdventures is currently co-producing horror flick ‘Damnation Island’, along with LA-based Enderby Entertainment. 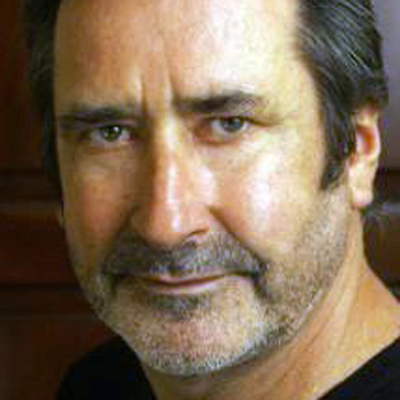 In 2006 the film ‘Out Of The Blue’ saw a return of William Kircher to the big screen. The film, directed by Robert Sarkies, was based on a true story of a massacre in the small seaside village of Aramoana. 2009 – 2010 William returned back into the production side of the business and he recently completed a fourteen-month contract line-producing ‘The Investigator’, a high rating television docudrama for Red Sky Film & Television.